FILE – In this Jan. 28, 2016 file photo, actor TJ Miller poses for photos at a fan screening for the film "Deadpool," in central London. Miller was arrested Monday night, April 9, 2018, at LaGuardia Airport in New York and charged with calling 911 to falsely claim that a woman on the same train as him had a bomb in her luggage. Prosecutors said Miller called in the false bomb information on March 18 after getting into a verbal confrontation with a woman on a train traveling from Washington D.C. to New York. The train was stopped in Westport, Conn., where it was searched. Former Silicon Valley star and stand-up comedian Todd Joseph "TJ" Miller was arrested at LaGuardia Airport this week for a fake bomb threat he allegedly made while onboard a train to Connecticut last month. Miller, 36, was apprehended Monday for "intentionally conveying to law enforcement false information about an explosive device on a train traveling to Connecticut" in March, a statement from the U.S. Attorney's Office for the District of Connecticut reads. He appeared before U.S. District Judge Jeffrey A Meyer in New Haven on Tuesday and was released on $100,000 bond, according to the Hollywood Reporter. The comedian's shows at Helium Comedy Club here in Philadelphia, scheduled for April 12 to 15, are still on, a venue spokesperson said. All shows but one at 10:15 p.m. on Thursday were sold out at the time of publication. Miller allegedly called 911 on March 18 claiming that he was on a train that had departed from Washington and that a woman had "a bomb in her bag." Authorities stopped that train in Connecticut, and bomb squad members searched for an explosive device, but found no evidence of one. Authorities later discovered that Miller was on another train at the time. According to an attendant on that train, Miller was "intoxicated upon boarding in Washington, "consumed multiple drinks on the train," and was later removed in New York due to his intoxication. The attendant also indicated that Miller had gotten into a dispute with a woman sitting nearby in the train's first-class car, the release states. The case is being investigated by the FBI Joint Terrorism Task Force, Connecticut State Police, the Westport Police Department, the Metropolitan Transportation Authority Police Department, and the Amtrak Police Department. Miller could face a maximum sentence of five years in prison. Miller last passed through Philadelphia in 2016 on his Meticulously Ridiculous tour, during which he played the Fillmore. 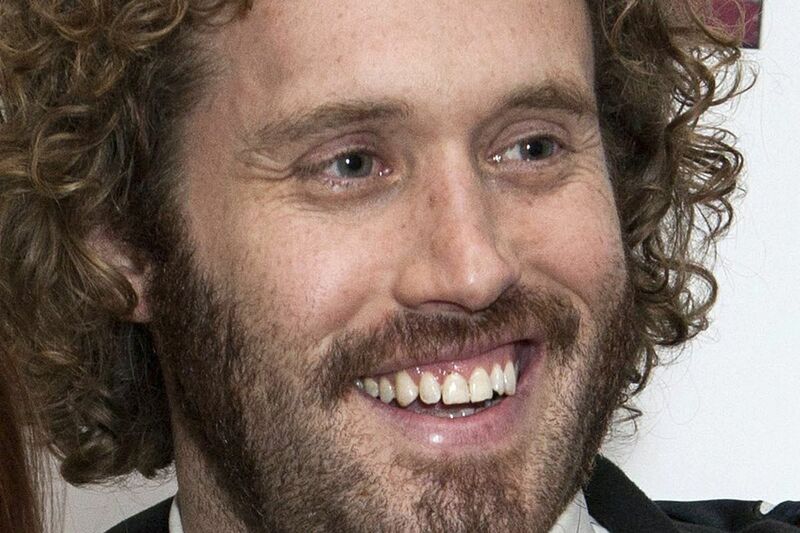 Since then, he left his role as Erlich Bachman on Silicon Valley, released an HBO stand-up special that included a bit about his time in Philly, and wrapped work on Deadpool 2. The comedian spoke with the Inquirer and Daily News prior to his last date in town, and discussed his penchant for real-world comedy such as his line of fragrances that includes scents like "Wet Garbage" and "Hot Trash," as well as a fake hip-hop album called the Extended Play EP from 2011. To Miller, that type of comedy is not only funny but significant. "To me, it was like, 'Why not make comedy in the most important medium: reality,' " he said.